The rise of George Villiers from minor gentry to royal power seemed to defy gravity. Becoming gentleman of the royal bedchamber in 1615, the young gallant enraptured James, Britain's first Stuart king, royal adoration reaching such an intensity that the king declared he wanted the courtier to become his wife'. For a decade, Villiers was at the king's side  at court, on state occasions and in bed, right up to James's death in March 1625. Almost immediately, Villiers' many enemies accused him of poisoning the king. A parliamentary investigation was launched, and scurrilous pamphlets and ballads circulated London's streets. But the charges came to nothing, and were relegated to a historical footnote. Now, new historical scholarship suggests that a deadly combination of hubris and vulnerability did indeed drive Villiers to kill the man who made him. It may have been by accident  the application of a quack remedy while the king was weakened by a malarial attack. But there is compelling evidence that Villiers, overcome by ambition and frustrated by James's passive approach to government, poisoned him. 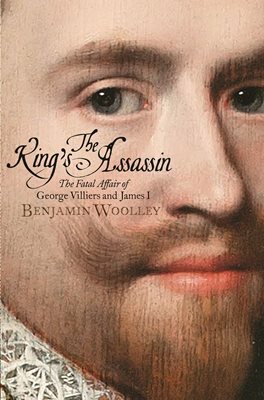 In The King's Assassin, acclaimed author Benjamin Woolley examines this remarkable, even tragic story. Combining vivid characterization and a strong narrative with historical scholarship and forensic investigation, Woolley tells the story of King James's death, and of the captivating figure at its centre. What emerges is a compelling portrait of a royal favourite whose charisma overwhelmed those around him and, ultimately, himself.